India is a developing country which is now on a pledge to be one of the cleanest countries across the globe. It is making a lot of concerns to make the cities clean, green, and better for the living. 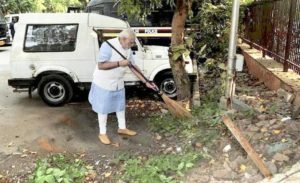 Our Prime Minister Shri Narender Modi has initiated the Swachh Bharat Mission which actually aims in achieving the vision of a Clean India. As a result, many cities in India are extremely clean and they make sure to maintain the cleanliness of their cities. 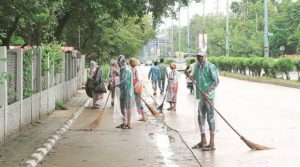 Based on Cleanliness Survey 2019, the Government of India has announced the names of the cleanest and clean cities of the country in the Rashtrapati Bhavan on Wednesday. 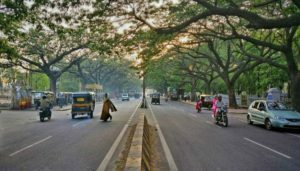 Here is the list of the Top 10 cleanest cities in India. Every year the Union ministry of Housing and Urban Affairs have organized Swachh Survekshan are organized Swachh Survekshan awards. The awards were given by Ram Nath Kovind who honored the recipients with statue a Mahatma Gandhi as a memento in a ceremony. This year total of 4,237 cities participated in this survey. The survey took off a total of 28 days and digital method used to collect the data. Citizen feedback was also taken into account while analyzing the city’s sanitation level. In this Awards ceremony, Indore is the “Cleanest city” for the third year on a row.it is also known asthe commercial capital of the state. The second and third position is the Ambikapur in Chhattisgarh and Mysore in Karnataka. Ujjain and Ahmedabad also bagged the title in two different categories. Ahmedabad got the award in the “cleanest big city” category, while Ujjain gained the sign of “Cleanest Medium city”. Among other champ was New Delhi Municipal Council area was declared “Cleanest Small City” and Uttarakhand’s was declared the “Best Ganga Town”. Raipur and Mathura – Vrindavan won the different tag. Raipur won the “fastest Moving Big City” and Mathura –Vrindavan won the “Fastest Moving Medium Cities”. Bhopal gains the sign of the “Cleanest Capital”. Jharkhand was on the number, second followed by Maharashtra. Swachh Survebshan is the largest such cleanliness survey in the world.